Mercury and Mars are still retrograde for most of the month causing a number of delays and miscommunications. If this were not enough, there is also a Solar Eclipse on August 11th marking the begining of something new and exciting. Unfortunately, whatever this great new thing is, it will not truly start moving ahead until the very end of the month. Some signs will be super frustrated with the current energy, wanting desperately to move forward but running up against roadblocks every step of the way. Other signs will be a bit more flexible with the constant changes, but will need to be extra sensitive and understanding when dealing with collegues that may be struggling. Just remember: It is still summer. Relax as much as you can and keep in mind that this too shall pass. By September things will return to normal. HAPPY BIRTHDAY! The beginning of the month is a bit challenging with both Mars and Mercury in retrograde. You may want to move forward on projects but are delayed by unforseen roadblocks (such as unexpected repairs to your instrument or aburbt changes in rehearsal schedules). Try to go with the flow and keep your lion’s roar in check for now. Venus moves into you 3rd house of communications on August 7th, sweetening up any writing, speaking, or performing engagements you have planned (just in time for the NFA). Do some serious networking during this time. People are listening to what you have to say and you are likely to meet some rather facinating new flute friends. A New Moon Solar Ecipse occurs in your sign on August 11th, putting the spotlight on you and who you are in the World. Leos love to be the center of attention and this solar eclipse provides a very important diva moment for you. If you can, plan a recital around this time or perform in a masterclass. New moons are often about discovering who you are and how you wish to reinvent yourself. Perform your lion’s heart out and begin to consider what direction you would like to take your flute playing over the next 12 months. Mercury goes direct on August 20th, helping you to clear up any misunderstandings that occured during the retrograde. Schedule a rehearsal with your accompanist after this date to work out any cueing issues that may have recently posed a few problems. If you have contracts to sign, wait until after the 20th to avoid having to revise anything. The Sun moves into your 2nd house of income on August 24th, showing you opportunies to make a few coins. This coincides very well with the impending school year so make sure you spend some time recruiting new students into your studio practice. The month ends with a Full Moon in your 8th house of finances and spirituality on August 26th. Take a breather during this time and let whatever past concerns you have had recently die away. Look toward the future and free yourself from the pain of the past. You ruler, Mercury, is still retrograde at the beginning of the month, as is Mars. Try to remain as flexible as possible during this time and not get too wrapped up in details that may go awry. Just breathe in the waning summer winds and let it go. On August 7th, Venus moves into your 2nd house of income. This is a great time to attract new money-making opportunities or recruit a slew of new students into your studio. 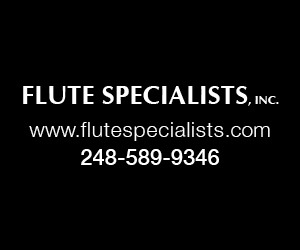 You may connect with another flutist or composer at the NFA, perhaps, and form a new business plan that will be quite lucrative for both of you. A new chamber music group, perhaps? A New Moon Solar Eclipse occurs in your 12th house of behind the scenes projects on August 11th. This puts a spotlight on any secret projects and, of course, the practice room. The energy of a Solar Eclipse can last up to 6 months, so it is likely that you are either working on some new, fabulous repertoire for a December or January performance, trying to master a very exciting new technique that you learned at a summer masterclass, or simply rolling up your sleeves and dedicating yourself to a new, more focused, daily practice schedule. Although Mars is still retrograde, this Eclipse will help give you the energy to work work work. Mars dips into your 5th house momentarily on August 13th, causing a few hang ups with a creative project that you are working on. Remember to take things one step at a time and try to dial back your natural perfectionist tendencies. Mercury goes direct on August 20th in your 12th house. That thing that you have been struggling with in the practice room will begin to work itself out after this date (you know what I’m talking about – that one run that never seems to come out smoothly....). The Sun moves into your sign on August 24th, putting a spotlight on you and your flute playing! Host a recital or a masterclass. Show the world who you are through your flute playing. Perform pieces that truly make you happy. The month ends with a Full Moon in your 7th house of relationships on August 26th. This is a great time to host a end-of-summer barbeque with your friends and collegues and discuss some of their interesting plans for the upcoming Fall performance season. Continue to be the patient and flexible person that you are at the beginning of the month, Libra, while Mars and Mercury retrograde wreak havok on the rest of the zodiac. Your fixed sign friends might be losing their minds and could say things out of frustration that they do not mean. Do not take it to heart. Just remove yourself from the situation. Venus, your ruler, moves into your sign on August 7th. This is a beautiful aspect and perfect energy for a makeover. This could be a makeover for yourself (new recital dress/tux or concert outfit) or a makeover for your flute. If you are heading to the NFA, this is a good time to try out new instruments and headjoints. Venus will be urging you to buy something beautiful to enhance your sound and/or presentation. A New Moon Solar Eclipse occurs in your 11th house of groups and communities on August 11th, encouraging you to audition for a new performing group. You may have been on the fence about this audition, however this New Moon will give you the courage to take the leap. This is a great opportunity and you will make a number of very important new connections if you are selected to join the group. Mars, still in retrograde, dips back into your 4th house of home and family on August 13th. If the cable company said they will be there at 5:00 pm on this day to fix the cable or internet connect, they will likely not show up. Or, if a contractor is scheduled to fix the skylight in your studio, they may also bail. Do not get frustrated and threaten to sue. Remember to go with the flow – nothing is as it seems. Mercury goes direct on August 20th in your 11th house. A group that you already belong to will be starting up rehearsals again. Get ready for another great concert season! The Sun moves into your 12th house of behind the scenes activities on August 24th, sending you to the practice room. You have a lot of music to rehearse (most likely for the groups that are starting up again) and you are ready to roll up your sleves and get to work. The month ends with a Full Moon on August 26th in your 6th house of work and health routines. Pull up that excel sheet and create a schedule for yourself that is practical, reasonable, and helps you make a little bit of progress on all of your goals each day. No more cram practicing! The Mars and Mercury retrogrades at the beginning of the month quite likely have you hiding under a rock, brooding about your frustrations with everybody and everything. You can’t even right now, Scorpio. Your stinger is ready and the next person to mess something up, even accidentally, will be poisioned. I know it is difficult, but try to remove yourself from any taxing situtations or dramatic miscommunications for the time being. Put the stinger away, drink some lemonade, meditate, and chillax. Venus will help you out a bit on August 7th when it moves into your 12th house of behind the scenes projects. Hide out in the practice room and channel your frustations into your playing. You will be quite happy and at peace to be working hard on the music that means the most to you. A New Moon Solar Eclipse in your 10th house on August 11th turns your focus onto your career goals. You are thirsty for a new performing or teaching opportunity. You are ambitious beyond measure and wish to make that next leap forward. Schedule that audition that you don’t think you will land. Submit that application to the position at that University far far away that you would kill to work at. You are finally ready to make it happen and the Universe will be supporting you along the way. On August 13th, Mars, still retrograde, will slip back into your 3rd house of communications. Someone is ignoring you and you are not having it. Avoid sending out a strongly worded email out of frustration. Sit on it a bit before hitting submit. Can you let this go for now? Mercury goes direct in your 10th house of careers on August 20th, making it much easier to make tangible plans to connect you to whatever is needed to propel your career forward. You are no longer intimidated to say what needs to be said. The Sun moves into your 11th house of groups and communities on August 24th, bringing a new performing group into your life. The musicians that you meet in this group will likely help inspire you to improve your flute playing and create wonderful new connections with local artists. Finally, the month ends on August 26th with a Full Moon in your 5th house of creativity and fun. Try your hand at composition on this date, Scorpio. You have some great ideas about the flute that you are interested in putting on manuscript paper. Time to share your ideas with the world. Save the drama for Obama, Sagittarius. You are not really bothered by the chaos that Mercury and Mars retrograde will be stirring up at the beginning of the month. You know it is coming. You’ve got your meditation music cued up. You’ve likely booked a vacation away from all possible sticky situations. Grab a drink and enjoy the show. There is an end to it just around the corner, after all. Venus moves into your 11th house of groups and communities on August 7th. You will be having a great time performing with a new (or existing) ensemble. 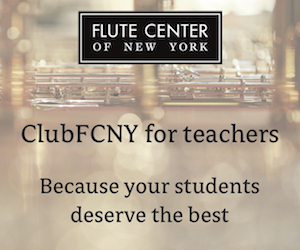 Is your flute choir performing at the NFA? Are you signed up for one of the flute choir reading sessions? 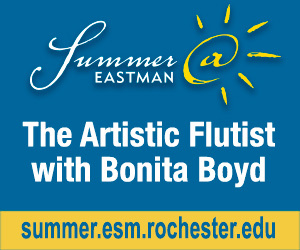 This will be a great opportunity for you to make a number of new flute friends. A New Moon Solar Eclipse in your 9th house of travel on August 11th has you planning your next adventure. Is there a great concert that you would like to attend in a larger city? An audition in some distant place that you would like to visit? A conference overseas that you would like to speak at? This Eclipse is encourging you to book those tickets and travel to somewhere wonderful. Mr. Mars, still in retrograde, will be dipping back into your 2nd house of income on August 13th. There could be an issue with a paycheck or a payment from a student. Check your bank accounts on this day for any bounced checks, snaffus with direct deposits, or indentity theives trying to purcase $500 in Facebook gaming credits with your account. If you need reinforcements, sick one of your Taurus, Aquarius, Leo, or Scorpio friends on folks trying to mess with your money (these fixed signs are super frustrated by the retrogrades and are ready for a fight). Mercury will be going direct on August 20th in your 9th house, making it much easier to plan your next trip. Check ticket prices on this day to score some good deals! The Sun moves into your 10th house of careers on August 24th, shining a light on what you need to do to move ahead in your playing or teaching life. There may be a job opening popping up that seems to call to you. Go for it! (Even if you think it may be out of your legaue) Time to make things happen! The month ends on August 26th with a Full Moon in your 4th house of home and family. You may be considering a move (possibly related to your career). Trust your gut feeling – Are you ready for a move? Let the energy of the Universe steer you in the right direction. Everything is a hot mess due to the Mercury and Mars retrogrades and you are not suprised by any of it. You saw all of this coming from a mile away and are now watching the burning cart roll down the road without a firm clean up plan in place yet. It’s okay – hang back and let the other signs vent, but avoid lecturing them on what needs to be done. Other signs are not in the mood to listen to well-meaning but easily misinterpreted advice at the moment. Venus moves into your 10th house of careers on August 10th, putting your flute playing career in the spotlight. If you are planning on attending the NFA convention, spend some time going to the panel discussions, lectures, and career consultation meetings. 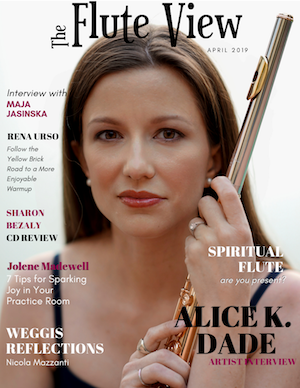 There are a number of good tips and tricks available to you that will help get you to the next step in your flute career. Begin to form your plan of attack during this time with some help from the experts. A New Moon Solar Eclipse in your 8th house on August 11th turns your attention to your finances. There is something major that you wish to purchase (such as a new flute) or an educational grant that you would like to apply to, but you are not yet sure how to do it. Use the energy of this Eclipse to do your research. How can you obtain the loan you need to make your dreams into a reality? What documentation do you need? What are the requirements and who needs to be involved? Do your homework. Mars, still going retrograde, dips back into your sign on August 13th, causing some frustration about a personal project that you are working on. Careful not to splurge on a new gizmo for your flute that just doesn’t work. Mercury goes direct on August 20th in that 8th house of finance. Wait to submit your loan or grant application until this day to avoid any backtracking. The Sun will be moving into your 9th house of travel on August 24th, encouraging you to book your next adventure. Is there an audition in another part of the country that you would like to visit? Is there a performance that you would like to attend? Go ahead and look into tickets to score the best deals and make it happen. Finally, a Full Moon in your 3rd house of communications on August 26th has you inspired to write up a storm. Do you have a flute blog yet? A YouTube channel? 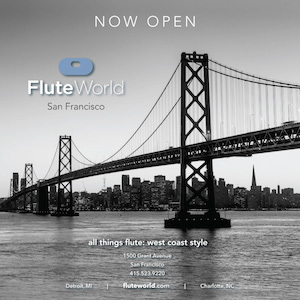 This is a great time to share your thoughts about fluting playing (or simply your flute playing) with a much larger global audience. Things will not be moving as quickly as you would like them to, Aquarius. This is due to fact that both Mars and Mercury are still going retrograde for the first part of the month. Don’t panic – Just take everything as it comes and know that even if you plan everything out to a T, something will throw you for a loop. Aquarians are particularly good at thinking on their feet and working around wrenches in their plans. Your talents will definitely be put to good use this month. Venus moves into your 9th house of travel on August 7th, encouraging you to take a vacation. Not a work trip or an outing to a masterclass somewhere, but a real vacation to a place that makes you happy. This may be the beach. This may be Disneyland. Whatever it is, plan your escape from the world and just have fun! The New Moon Solar Eclipse falls in your 7th house of relationships on August 11th. This is a great time to make new friends. If you are traveling to the NFA convention, try to spend some time meeting other flutists from around the country and discuss common interests, projects, and goals. You might meet some very interesting colleagues with whom you can set up future collaborations. Mars, still in retrograde, will dip back into your 12th house of behind the scenes projects on August 13th. This indicates that something you have been working on is derailing in the practice room. Try not to become frustrated and over-practice. Sometimes if we drill something over, and over, and over again it does not necessarily get better but rather becomes something that we overthink to the point of madness. Do not psych yourself out. Mercury will be turning direct in your 7th house of relationships on August 20th, helping you to clear up any misunderstandings that may have occurred earlier with other members of your flute section. The Sun moves into your 8th house of finances on August 24th, shifting your attention onto your bank account for the next month. You may be thinking about applying for a grant to study overseas. This is a great time to begin to gather all of the necessary documentation and set up a budget. Be practical and try not to underestimate any possible expenses. Finally, the month ends with a Full Moon in your 2nd house of income on August 26th. You will be recruiting up a storm and welcoming a number of new students into your studio during this time, helping to boost both your productivity and your earned income. The new school year is about to begin and you are poised and ready. Swim with the raging current rather than against it this month, Pisces. Mars and Mercury are still going retrograde for most of the month creating messes left and right. Your fixed sign friends will be having a hard time with this energy, so steer clear of Taurus, Leos, Aquarians, and Scorpios if they are not in good moods. They will likely crush the more sensitive Pisces without thinking and possibly create irreversible tensions out of frustration. Do whatever you can to not take anything that happens this month too personally. Venus will be moving into your 8th house of finances on August 7th, helping you to smooth out any financial difficulties that you may have been having recently. If you have applied for a loan or a grant, you may be receiving good news during this time. Don’t spend all of your money in one place! In fact, try to delay any major purchases until Mercury goes direct to avoid possible headaches or delays. The New Moon Solar Eclipse will be happening in your 6th house of the daily work and health routine on August 11th. You may be getting a new job. Have you recently auditioned for an orchestral position? Or applied to a teaching job? This could be the transit that makes it happen for you. Mars, still going retrograde, dips back into your 11th house of groups and communities on August 13th. Rehearsals will be a bit frustrating with larger ensembles and you may find your group spending a lot of time ironing out foundational elements such as intonation and dynamics. Remember to keep your cool – You just have to roll with the delays and every day frustrations at the moment. Mercury goes direct in your 6th house on August 20th. If you are applying to a new job, try to wait until this day to submit your application. If you have accepted a new job, also try to wait until this day to sign on the dotted line. Mercury retrograde can cause a number of hiccups when it comes to contracts and agreements. The Sun will be moving into your 7th house of relationships on August 24th. This is a good time to make new flute friends! This could be at a local flute choir rehearsal, at a convention, at work or school, or even just online. 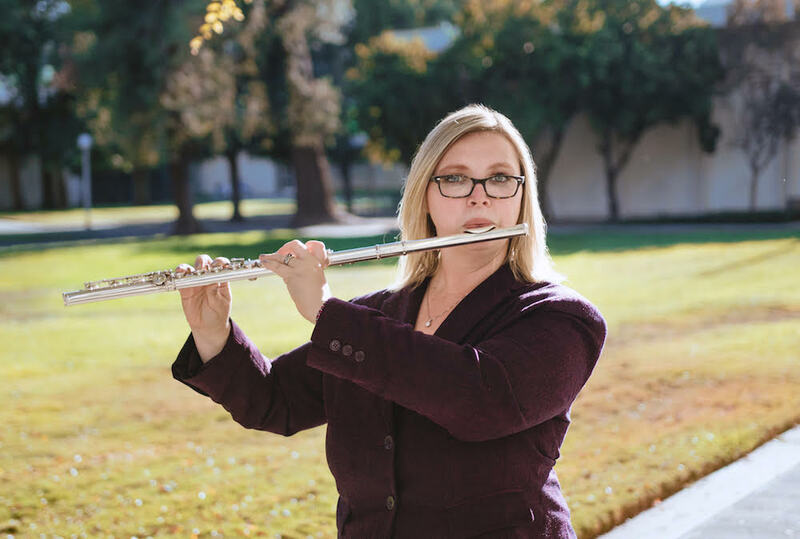 Connect with other flutists that share your interests and collaborate on any new, exciting projects that pool your collective talents. Finally, the month wraps up with a Full Moon in your sign on August 26th. Something you have really been working on, that has literally taken all of your blood, sweat and tears to accomplish, will be coming to a wonderful completion. This could be a recital, a concerto competition, a dissertation, a book, an audition, a CD project, or something else along those lines. You are very proud of your accomplishment and should take some well-earned time to celebrate. Nice work! You are technically not a fixed sign, but just like your Leo, Aquarius, Scorpio, and Taurus friends, you are also having a difficult time at the beginning of the month as both your ruler, Mars, and Mercury are in retrograde. Aries is all about getting things done and these retrogrades are making it quite impossible to move forward with anything. Try not to explode. Just expect that everything will go haywire at some point or another and pick up the pieces whenever they fall. Things are stuck right now. There is nothing you can do but wait out the retrogrades. Venus will be moving into your 7th house of relationships on August 7th. If you have had any tensions with other flutists in your life recently, Venus will help smooth over any hard feelings. You may have said things out of frustration that you didn’t mean or perhaps things were said to you that were blown out of proportion. This planetary energy will help you have a heart-to-heart and repair burnt bridges. The Solar Eclipse occurs in your 5th house of creativity on August 11th. This is great for your flute playing! Use this time to think about new ways to interpret your repertoire. Try creating a new tone color plan for the pieces you are currently working on. Pick up a crazy contemporary piece that you have never heard of before and give it a go. You are in the mood to try something new and exciting. You might even try your hand a composing. What tunes do you have running through your head? Can you put them in manuscript form? Mars, still retrograde, will dip back in to your 10th house of careers on August 13th. You may need to rethink the way that you do something in your career. Are you spending too much time practicing at the expense of your teaching work? Are you using your practice time effectively to reach your goals or are you just clocking time? Ask yourself what you can do differently to make the most out of the time and energy you invest in your career. Mercury will be going direct in your 5th house in August 20th. If you have not been having fun lately, Mercury may to be to blame. Plan an outing on this day. Leave your flute at home and go to the lake. The Sun will be moving into your 6th house of the daily health and work routines on August 24th. As you begin to reconsider how you spend your energies on your career, the Sun in this house will help you create a realistic and practical schedule to create a new and better work-life balance. Pull up an Excel spreadsheet and plan out your week. You may find that being organized makes you even more productive than you were before. Finally, the month closes with a Full Moon in your 12th house of behind the scenes projects. You may find yourself burning the midnight oil in an effort to finish a project. If you are practicing, make sure to take regular breaks to avoid exhaustion and injury. If you are toiling away on the computer, set your timer and work in bursts with enough time to take your eyes of the screen every so often. You will get this thing done, Mars retrograde or bust! Hang in there, Taurus. The Mars and Mercury retrogrades at the beginning of the month will be quite taxing and you may be very close to lighting all of your projects on fire and starting from scratch. Try to remain as calm as possible. This is all temporary and at least communications will straighten out by month’s end. Take very small steps on any projects right now and prepare yourself to revise revise revise. Venus moves into your 6th house of daily work and health routines on August 7th. Something nice will be happening at work. You may be receiving a promotion or a least some well-deserved recognition from your conductor. 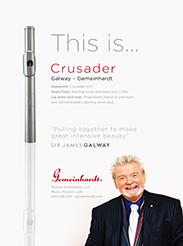 This will be make you feel very proud of all the hard work you have been putting into your flute playing. Well done! The New Moon Solar Eclipse will be taking place in your 4th house of home and family on August 11th. You may be thinking about moving, purchasing a house, or planning some home renovations. The stress of the season might simply have you wanting to spend most of your time at home with your famiy. There is nothing wrong with that. Set up a good home studio space and enjoy practicing and teaching from the comfort of your own home. Mars, still retrograde, will dip back into your 9th house of travel on August 13th. If you are planning a trip or returning from the NFA convention, for example, you might encounter travel delays or at least inconveniences while traveling. Pack extra snacks and allow yourself more than enough time to get to the airport. Bring noise canceling headphones for the flight. If you are well prepared in advance, these minor irritations will be just that – minor. Mercury will be going direct again on August 20th in your 4th house of home and family. This is a good day to look at new houses if you are, indeed, thinking about moving. Otherwise, this is a good time to take the family to the beach and leave your flute at home. If you have had any miscommunications with your family lately, they will begin to clear up after Mercury goes direct. The Sun moves into your 5th house of joy, children, and creativity on August 24th. This is like the proverbial lightbulb above your head. You will have some sort of wonderful inspiration on this day to create something new in your flute playing. Spend this day doing some improvisation. Attend an outdoor summer orchestra concert with your students and explain some of the wonderful things happening in the flute parts and how they fit into the bigger musical picture. The month ends on August 26th with a Full Moon in your 11th house of groups and communities. You may be leaving a performing group. This is not a sad or dramatic thing. You are simply ready for a new challenge and wish to meet new musicians in and around your community. Air signs like Gemini will be better equipped than most other signs to deal with the chaos of Mars and Mercury retrograde at the beginning of the month. Remember that air moves in whichever direction the wind decides it will go. Approach August with this in mind and ride the wind. Geminis are also fantastic conversationalists. Try to let your fixed sign friends (Leo, Scorpio, Aquarius, Taurus) vent a little bit to you this month. Agree with them when something seems frustrating and give them any valuable advice that you may have whenever they feel stuck. You will be a very good person for others to turn to this month. Venus moves into your 5th house of creativity, joy, games, and children on August 7th. Any time Venus moves into your 5th you will generally be surrounded by love and inspiration. If there was a soundtrack for your life during this time, it would probably be the Chaminade Concertino just playing on a loop. This is perfect timing if you are planning to attend the NFA Convention where you will not doubt be surrounded by recitals and gorgeous flute music everywhere. Breathe it in and have fun! Find something new to bring back into your own flute playing. The New Moon Solar Eclipse will occur in your 3rd house of communications on August 11th. This would be a great time to set up a flute blog or a YouTube artist page. You have a lot of thoughts, tips, and music to share with the world and are motivated now to express yourself to a larger, global community. Mars, still in retrograde, will be dipping back into your 8th house of finances on August 13th. Keep an eye on your bank account and any loan or grant applications that you may have submitted recently. There is something that is holding up the approval process and you might avoid some of the back and forth if you can tackle it early. There may also be identity thieves circling your account. Change your passwords if you can and alert your bank to any suspicious purchases. Mercury goes direct in your 3rd house of communications (finally) on August 20th. It is never easy to have a Mercury retrograde in your communication house. You may have had a lot of misunderstandings with friends, family, and collegues recently. Once Mercury goes direct, you can begin to clear the air. If you had exchanged words with the other members of your flute section, you might want to invite them out for coffee to discuss any lingering issues. The Sun moves into your 4th house of home and family on August 24th. You might be redecorating your home studio to prepare for the upcoming school year. Stock up on all of those great office supplies. Purchase back-up ink cartridges to print manuscript paper and studio policies. Make sure your piano is tuned. Rearrange the furniture to make more space for crazy marching and playing exercises. Finally, the month ends with a Full Moon in your 10th house of careers on August 26th. Since Full Moons typically indicate endings, you may be ready to shut the book on an aspect of your career that just does not work anymore. Perhaps you simply do not have enough time to perform in a community orchestra or adjudicate placement exams at the local middle school. It is okay to say goodbye if something does not quite fit into your life perfectly right now, Gemini. 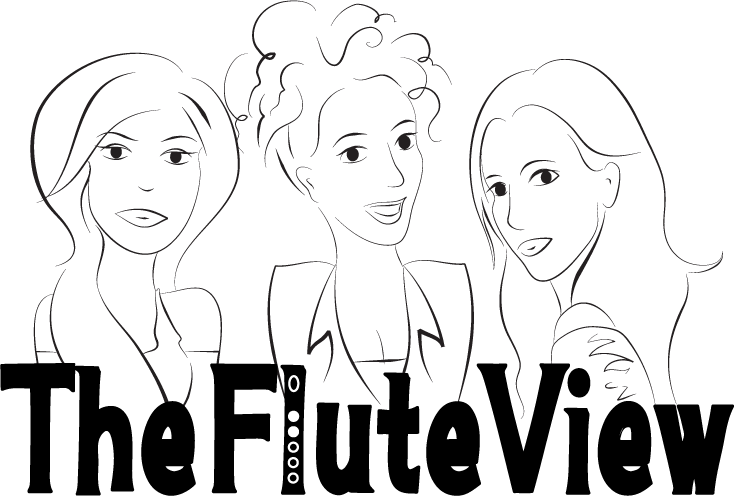 Use this planetary energy to reevaluate and reprioritize your career direction. Although you are usually a sign that tends to freak out a bit when things go awry, this month you are calm, cool, and collected throughout the turmoil being caused by the Mars and Mercury retrogrades. Some of your family and friends need you right now to be the nurturing moms/dads of the zodiac that you are. Others will be looking to you for guidance and support to make it through the retrograde and eclipse season with their sanity. Be that rock. Venus moves into your 4th house of home and family on August 7th, encouraging you to beautify your environment in some way. Add a new plant or artwork to your home studio. Pick up a lovely new music stand at a summer convention. Rearrange the furniture so that it works better for you. You could also be practicing more from home as it keeps you in close proximity to your family. The New Moon Solar Eclipse occurs for you in the 2nd house of income on August 11th. You may be offered a new job. Have you recently applied to a teaching position? Did you audition for a prestigious orchestra? This eclipse suggests that the new income opportunity that is coming to you will not only be lucrative but will also give you a very important opportunity to use your skills in a meaningful way. Mars, still in retrograde, dips back into your 7th house of relationships on August 13th. Be careful not to pick any fights during this time. Your words are not being heard properly and others are reluctant to give you a helping hand. Mercury goes direct on August 20th in your 2nd house of income. Try to wait until this day to accept any new job that is offered to you, if possible. Contracts and agreements are much easier to negotiate when Mercury is moving forward. The Sun moves into your 3rd house of communication on August 24th, giving you an opportunity to announce to the world that you have accepted a fabulous new position – Cue Facebook, Instagram, Twitter, and SnapChat posts! The Month ends with a Full Moon in your 9th house of travel on August 26th. You have been thinking about taking a trip recently but have been reluctant to book it. This Full Moon is urging you to go for it. Apply to speak at that super interesting conference in Hawaii over Christmas Break. Book your tickets while they are still affordable and start planning for a wonderful getaway.